Animation Mentor has posted a tutorial from Co-founder Bobby "Boom" Beck on Timing and Spacing. It's always good to refresh on the 12 principles so have a look. 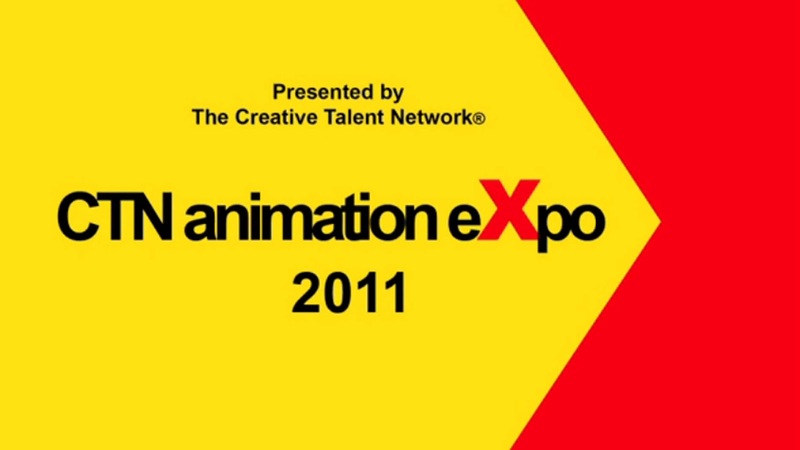 With thanks to the lovely Bancroft Brothers for pointing out this resource, please take some time to watch Late Night with "Lion King" - A Celebration of "The Talent", a CTN Expo talk between some of the greatest artists in animation, including co-directors Rob Minkoff and Roger Allers. Highlighting a second wonderful panel, Onanimation play hosts to The Development of the Digital Animator, presenting some of the iconic figures from the growth of digital animation. For March's competition, the community were challenged to go all the way and animate an audio clip from Breaking Bad. 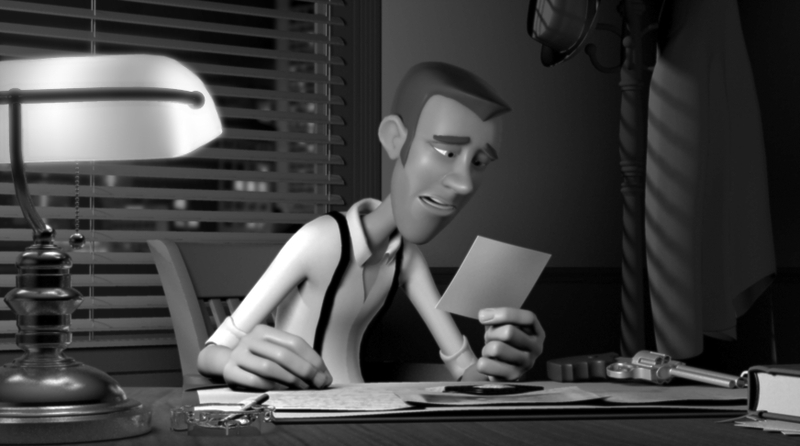 Tim Kallok made few mistakes, snapping up first place with his film noir animation. We wish to thank Tim for giving an insight into his practice and wish him congratulations once more for his winning production. Your dream is to work in feature film. If you could have worked with any character from a past animated film, who would you pick and why? Well, I’m not sure if I can only pick one character I would have liked to animate, I have so many favorites. 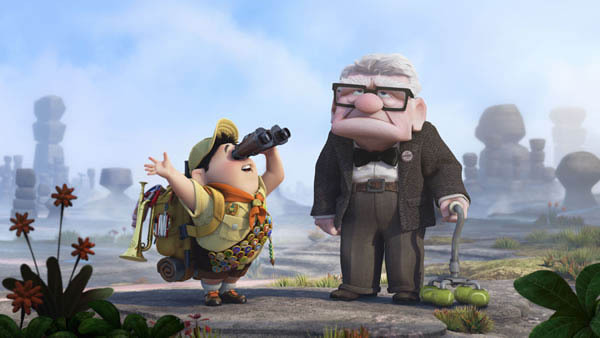 If I had to pick from recent films, I would say Carl Fredrickson from Up because his character has such emotional depth and has a great character arc throughout the film. After the death of Ellie, he put’s on a rough and grumpy facade, yet he still remains a romantic at heart, which shines through with his relationship with Russell. I think that duality would be really fun to animate because it gives you so much to work with. There is also a great mix of emotional intensity in his scenes ranging from somber and serious, subtle moments to over the top action chase scenes. From earlier films, I think Captain Hook from Disney’s Peter Pan would have been a lot of fun to animate as well. He is another character with a conflicting personality. On one hand, he is trying to be a sophisticated gentleman, yet when he gets angry, his inner villain shows through, he totally looses control and becomes this crazy, evil madman. His phobia of the crocodile also adds a very fun, unexpected layer to his personality. I think Frank Thomas did a phenomenal job with his depiction of Hook, which I don’t think I could pulled off. Tell us a bit about your time so far at the California College of the Arts. I finished my last classes at CCA in December. Overall, it was an amazing and challenging experience. All of my instructors pushed me not only to improve my skills as an animator, but also to embrace the storytelling roots of animation and really learn to be a more well rounded filmmaker. I think what really stood out to me in the program was that they give you a lot of freedom to experiment and hone in on what you are really passionate about creating. It’s definitely not an “one-size-fits-all” curriculum, where everyone is doing the exact same assignments, using the exact same software or medium. While in the program, I got to experiment with 2D, 3D and stop-motion, which I found to be an enlightening experience because it really helped me to have a much stronger understanding of the animation principles and how they apply to any animation medium you are working in. CCA also has one of the best faculties of any on-site animation school. It was amazing to take classes with some of the my heroes and be able to interact with them and pick their brains about their animation ideologies and workflows. Your most recent entry on your blog, talks about your excitement at taking classes taught by Andrew Gordon, Bret Parker and Mark Andrews. Please talk a bit about your progression in these classes. Being able to take classes with Andrew Gordon, Bret Parker and Mark Andrews was an incredible, once in a life time experience. Each of their classes was very challenging and really helped me to improve my skills. Andrew Gordon’s class, Animation Tutorial, was an advanced animation class that covered advanced body mechanics, acting and dialogue. He gave many of the same lectures that he covers in his master classes, and gave us insight into his own workflow and how he approaches animating shots at Pixar. He conducted each class in the same way that they have “Dailies” at Pixar. He would pull up our work for critique on the projector and do draw-overs to show us how to improve our posing, timing, and overall appeal of our assignments. Andrew encouraged us to treat each assignment as a mini-short film, having us take in to account the who, what, where, when, why and how of the scene and think about the narrative and scenario. This way of thinking helped me to get into the mind of the character and treat my assignments more as a shot in a film rather than an animation exercise. I had Bret Parker for two classes, Experimental Animation and Senior Project. Experimental Animation was an introductory class to the methods and practices of experimental animators. Bret introduced us to a myriad of interesting experimental films that really broadened my view of what animation can achieve. We were given a wide variety of assignments in different mediums such as paper cut-outs, found objects, clay, etc. I honestly enjoyed creating animation with tools outside of what I normally use because it really enforced the animation principles in my mind and made planning a much larger part of my workflow. In stop motion, you animate straight ahead and there is no undo, so you have to extensively plan what you are going animate before you start shooting. It forces you to think about the timing, spacing, overlap, secondary action, and all the other principles of everything you are going to animate. This influenced me to start using x-sheets and timing charts more in my CG workflow. The other class I had with Bret, Senior Project, was a 2-part class where we produced a short film. I got a little too ambitious with my film and instead of having a short 1-2 minute film, my project turned in to a 6 minute monster. It’s a 2D film about a dog named Lucky that I am animating in TVPaint. I’m not going to say too much about the story, because I want to be fresh when people see it for the first time. I wasn’t able to finish the film by the time I left CCA, but I am continuing to work on it little by little on my spare time, which hasn’t been too much because I have been exclusively working on my reel. It’s turned into a labor of love and I am going to eventually finish it. Mark Andrews teaches the Visual Storytelling class at CCA. His class focused on storytelling and how to best communicate stories visually. Mark is an amazing teacher and a true master of filmmaking. He is really intense and enthusiastic about his craft which made his class very enjoyable. I have taken a few storyboarding classes prior to taking Mark’s class, but his approach to teaching story is much different than what I had experienced before. In previous classes, I had learned storyboarding from a very technical standpoint, meaning I learned the different types of framing, camera moves, screen direction and rules about editing, such as the 180 degree rule, but I never really learned why and when to use them. 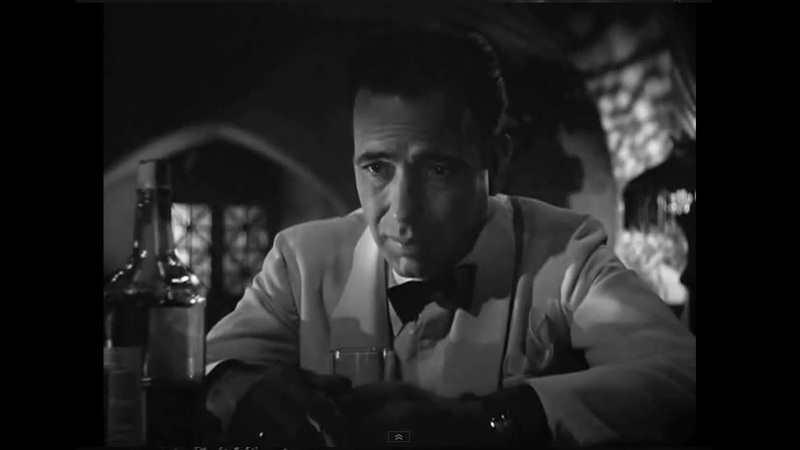 Mark’s approach to filmmaking is that all of those rules and techniques should always serve the story foremost, and they have very clear emotional impact on the viewer. This was a refreshing point of view and made me enjoy the storyboarding process much more. Mark set up the classwork in a way that helps everyone understand the concepts he teaches. We started off simple by telling a story in 1 drawing, then gradually increased the complexity so that by the end of class we did a full 50 panel storyboard. Overall, the classes at CCA really stress the importance of story, because as animators, we are primarily storytellers. We tell stories through our character’s performances. That focus on story throughout my time at CCA definitely helped me add more depth to my work and changed my approach to how I animate. You have also noted your admiration for Frank Thomas and Ollie Johnston. Most will know them as writer's of Disney's Illusion of Life, but what distinguishes your admiration for this artists from the other Nine Old Men? I have admiration for all of the Nine Old Men, because they were all pioneers of the craft. Their work along with the work of the animators that came before them (Fred Moore, Bill Tytla, Norm Ferguson, etc.) transformed animation from being a novelty into a powerful storytelling art form. I admire Frank and Ollie’s work the most because out of the other Nine Old Men, because they were the masters of emotional, empathetic animation. For me, I could always connect with the characters they animated and really feel the emotions shining through the performances. One of my favorite scenes that Ollie animated is from The Rescuers where Rufus, the cat, is comforting Penny after she didn’t get picked for adoption. There is so much beautiful, subtle emotion in that scene, and you can feel what the characters are feeling on the inside. One of my favorite scenes that Frank animated is from The Jungle Book, where Baloo is trying to explain to Mowgli that he has to take him back to the man village. In that scene, you can really feel Baloo’s frustration and how he is trying to find the right words to say. The acting choices that Frank came up with for Baloo in that scene, rubbing his neck and scratching his chest, were original acting choices then, but now have become animation cliche’s. I think that speaks to the power and originality of the animation they produces and how they have greatly influenced many generations of animators. There is an awesome documentary called Frank and Ollie, that Frank’s son directed. It is a must see for all animators out there. I highly recommend it. I really enjoyed your traditional project, Fall Rhythms. I believe it delicately compliments the work in your 3D projects. Was it influenced at all by Ryan Woodward's Thought of You? Fall Rhythms was my final project for Bret Parker’s Experimental Animation class. We were given free reign to do what ever we wanted, but we had to submit a concept and have it approved before we could start working on it. I initially had a hard time trying to figure out what I wanted to do. On a particularly windy autumn day, I was walking through CCA’s Oakland campus, and I was observing how the wind was blowing through the trees. I could see the overlap/wave principle in action and the idea for my project popped in my head. Initially, I wanted to do a larger series of animations that showed how movement in nature can be seen in human movement. I submitted my idea to Bret and she suggested that I simplify my idea, so I condensed it down into the piece I have on my website, a choreographed dance between a falling leaf and ballet dancer. I studied a few ballets to get some ideas but ultimately choreographed the dancer’s movements myself. Bret was a big help on this project because she was a dancer prior to becoming an animator. She gave me a lot of great feedback on making sure the dancer’s form and poses were correct. It wasn’t until halfway through production that I saw Ryan Woodward’s Thought of You. I was pretty bummed out that what I was making was so similar to his piece, but I decided to keep moving forward with it because the premise and inspiration for my piece were different than his. I really enjoy Ryan’s piece, he is an incredible draftsman and the animation in Thought of You is simply beautiful. You also experimented with stop motion. Do you have plans to produce any further work in these disciplines? After experimenting with stop motion, I have gained much more respect for all those stop motion animators out there. I found it to be exceedingly more challenging than any other medium I have worked with. 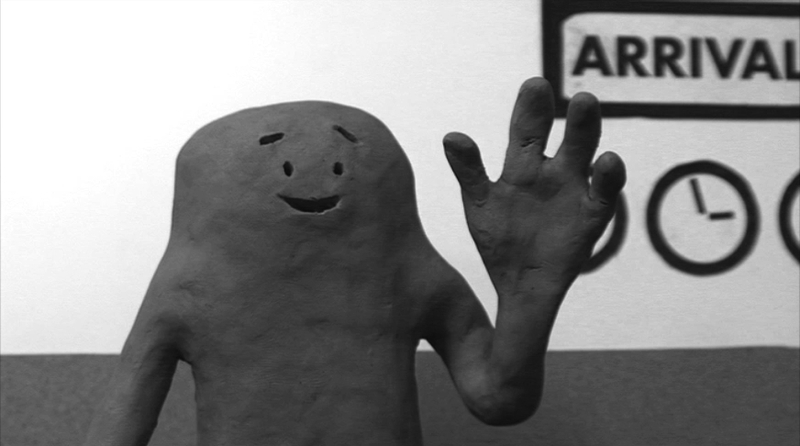 I made one clay stop motion short in my Experimental Animation class and by the end of the project, I thought I was going to have a nervous breakdown. I think a large part of my frustration was due to the poor quality of the materials I was working with. I was using a self-made wire armature that did the job, but it was very hard to work with because it was too stiff and would not hold poses too well. Making subtle movements was nearly impossible because when I would re-pose the character then go to shoot a frame, the armature would start bending back to its previous state. So there was a never ending tug of war going on between me and the armature. On top of that, you have to be completely focused on the task at hand and keep mental track of where you are in the shot and where you are going. I had a lot more fun doing the paper cut out stop motion because it was much easier to control the posing of the character and you only have to worry about 2D space rather than what is going on in 3 dimensions. I don’t see my self doing any more stop motion in the foreseeable future, but it might be a fun project to do when I don’t have so many other projects on the back burner. In contrast to Hindsight is always 20/20 and Dim Pickins which tell more full stories, I love the simplicity of your dog trot. Please can you talk a bit about the piece and your motives for it's production. Dog Trot was the first project I completed in Andrew Gordon’s Animation Tutorial class. The assignment was to do a quadruped cycle of our choosing. Like I previously mentioned, Andrew wanted us to consider making each assignment into its own scenario. One of the concepts that Andrew introduced to us was when you are making pieces for your reel, you want to be able to set yourself apart from other animators. So if you are doing a cycle, try to make it transcend being a just a cycle. Put the character in an environment and have them react to their surroundings. With that I advice, I didn’t want to do just a straight forward cycle, so I tried to think of ways I could break it up and add variance. In a previous eCritique, Kenny Roy spoke of the difficulty in animating a lengthy performance to a single camera. Looking at your portfolio of work, it appears to be a challenge you relish. Please talk about your approach to composition. One of the ideas that Mark Andrews really stressed in his Visual Storytelling was the concept of economy of shots. Each shot you use should be chosen so that it is the best possible way of communicating the information you are trying to show the viewer. You should move to a new shot when you are presenting new information that couldn’t be shown in the previous shot. There is no need to have a sequence of 10 shots when you can tell the same story using 5. Having too many cuts can lead to a loss of clarity, an example being most Michael Bay action sequences. There are way too many cuts and it’s hard for the viewer to tell what is going on. That being said, I start my projects in their simplest form, usually with just one shot. If the action or intention is unclear, I can always add more shots to clarify what is going on. The majority of the time, creating strong poses with clear silhouettes will help much more than changing composition or adding cuts to an animation. I think now a days, editing with a large amount of fast cuts has become a part of our aesthetic culture. If you count the amount of cuts in any modern commercial, I think you would be surprised how high the number is. Maybe I have an old fashioned aesthetic taste, but I am a fan of keeping things simple. Please tell us about your workflow for your winning entry. I was pretty excited when I heard the audio clip for the March contest. I’m a big fan of the Breaking Bad series and really wanted to try my hand at doing a subtle dialogue piece. I was trying to come up with some new material for my reel, so entering the competition was a great way to push myself to complete a new piece. The first thing I did was download the audio and loop it for a while to get some ideas for how I wanted to approach the shot. The content is fairly ambiguous, so there is a bunch of possibilities for scenarios (as seen in all the other entries). Fairly quickly, I came up with the concept that you see in the final entry. My next steps were getting all the assets ready for animation. I knew I wanted to use the Malcolm rig because I had tested out the rig and really like the facial setup and overall appeal of the rig. I already had the set built from Nick Danger Answers the phone, a previous project I had done a few years ago. Luckily I still had all the files and textures backed up on a hard drive. I did a little bit of extra set dressing, adding in a few more objects/props such as the gun, the photo and other paperwork strewn across the desk. I then proceeded with the modifications to the Malcolm rig, which included adding his shirt and suspenders, and modifying his textures. Within a few days, I had everything ready to start production on the shot. (Please see Tim's AnimSchool interview). I then started planning out the animation for the shot. I made a few thumbnails and shot video reference of my self acting out the shot. I don’t use video reference too extensively. I already have the performance set in my mind before shooting reference, so I treat it more of a physical rehearsal of what I have in mind for the shot. Once I shoot it, I look at it maybe once or twice to see the body mechanics of the more physical actions and study secondary actions that I might have done subconsciously. From there, I jumped in to animating, starting with the blocking pass. I block using the stepped method. I enjoy using the stepped method because it allows you to really pay attention to creating strong key poses. It’s much closer to the way you animate in 2D, which I really enjoy. In blocking, I start out as simple as possible, trying to tell the story with the least amount of poses. I spend quite a bit of time refining my key poses, making sure the silhouette reads and there is a nice rhythm to the pose. After key poses, I go through and add breakdowns, then extremes and finally a few inbetweens. I have found working in stepped, you need to really tell Maya what to do. If you don’t have enough keys for Maya to work with, when you go in to spines, you get a big floaty mess. If you spend the time in blocking putting in a lot of poses and defining the holds, breakdowns, extremes, and main inbetweens, the jump to spline will be much easier to deal with. Tween Machine speed up this process a lot and use it extensively. In blocking, I usually don’t touch the face, besides changing the default expression to something that fits the mood of the scene. I tackle the face and lip sync once I am out of blocking. After blocking, I splined out the shot, started refining the timing and smoothing out the splines. During this process, I approach the shot in chunks, working on 50-100 frame sections at a time. Once I am happy with one section, I move on to the next. For refining, I start out with the controls closes to the hips and work my way outwards (Bottom spine > Mid Spine > Top Spine > Clavicles > Shoulder... etc.). After my first pass of refining, I do a rough pass on the facial animation. I do the parts of the face in straight ahead passes. I usually do the eyes and brows together and lip sync as a separate pass. I break up the lip sync in to separate passes. I do the open/close of the jaw first, then the wide/narrow of the corners of the lips, then adding in compression and lip curls for consonant shapes such as Ms and Fs and Vs. Once I have a first pass on the lip sync in, I go back and break up the asymmetry of the mouth shapes and add do a pass for the cheeks and nose. After I had a solid pass on the face, I continued to polish the shot as a whole. For polish, I concentrate on further refining the splines, smoothing out arcs and making sure all the timing and phrasing are working well together. I also go through and make sure there is no interpenetration, where parts of the character are going through props and set pieces. I worked up until the last day of the month and could have continued to polish, but I needed time to render out the shot and composite everything together, so I had to let it go so I could submit in time. Although I didn’t get the level of polish I wanted, I was still happy with how the shot turned out in the end. I love the film noir style to the clip. Did you study any particular actors to help capture the essence of the character? Where do you usually turn for inspiration? Do your ideas come from people you know, films you have seen, or completely invented from your own stories? Through your AnimSchool interview, I was pleased to read you use a mirror to discover your facial performance. What benefits do you believe this traditional tool offers in comparison to using more modern aids such as a video camera. I think using a mirror and video reference both have their benefits as animation tools. Like I said earlier, I don’t use video reference too extensively because when I am working, I already have a clear mental vision of what I to animate. Using a mirror definitely has a lot of benefits to me because it’s a non-intrusive part of my workflow. It’s really easy just to look over at the mirror and see what your face is doing in multiple angles as you say the dialogue. With video reference, you can only see the angle you shot it at, so unless you shoot your reference from multiple angle, it can be hard to decipher what exactly is going on in 3D space. With a mirror, its also much easier to see what parts of the face are being influenced by each expression or mouth shape. Additionally, with a mirror, its much easier improvise and come up with different ways of transitioning between expressions or different ways of showing the expression you are going for. You made a deadline day change of how the detective would stand and grab the gun. Pushed for time, the spacing of this movement was not how you would have wished. Animation Mentor's Nicole Herr, picked up on this and offered advice on how to improve it. Have you had time to return to the shot and add your desired polish? Talk about any new concepts you were introduced to (or re-introduced to) through the eCritique. One of the concepts that Nicole talked about in my eCritique was the use of proper eye direction and eye darts. I completely agree that I could have improved that in my shot. Studies have shown that the eyes of a person/character are what we focus on most, so they are really important to get right in animation. The eyes say a lot about a character and play a pivotal role in showing the character’s emotion and thought process. Nicole talked about adding in eye darts, but in a way that they were felt more than seen. Trying to achieve that level of subtlety is very hard in animation and something that I constantly struggle with. In future work, I am definitely going to pay more attention to adding in those important details. This is your first time entering our monthly competition. What experience and advice would you give to somebody planning to enter? Week 1: Finish preproduction, animation planning and have all assets ready for animation. Week 2 : Fully block out the animation and complete first animation pass. Week 3 : Polish, Polish, Polish... then Render! Another piece of advice I would give is to really think about your scenario and approach to the scene before you start animating. Looking back at all the winning entries, you can see that each one has very well defined characters, a clear scenario where you know the where, what, when, why and how of the scene. You can make it easier on your self if you put a background set and props into the scene before you start animating. Without these, you are just animating a character on a blank canvas. Thinking about backgrounds and props can influence your acting choices and enhance your character performance. However, don’t spend too much time worrying about modeling, textures and lighting. Ultimately, this is an animation competition, and quality of animation should always remain your top priority. The background is just the icing in the cake, it helps the viewer better understand your story and become interested in seeing your shot. For February's monthly competition, the admin team challenged the community to respond to a female audio. I caught up with the month's winner, Flavio Santana do Nascimento, who kindly donated a few words about winning entry and also his background in Brazil. Hope they help. Enjoy and happy animating! Each animator seems to remember the moment that sparked their interests in character animation. Please tell us about your moment. I think it all started when I was watching the "making of" Beauty and the Beast. 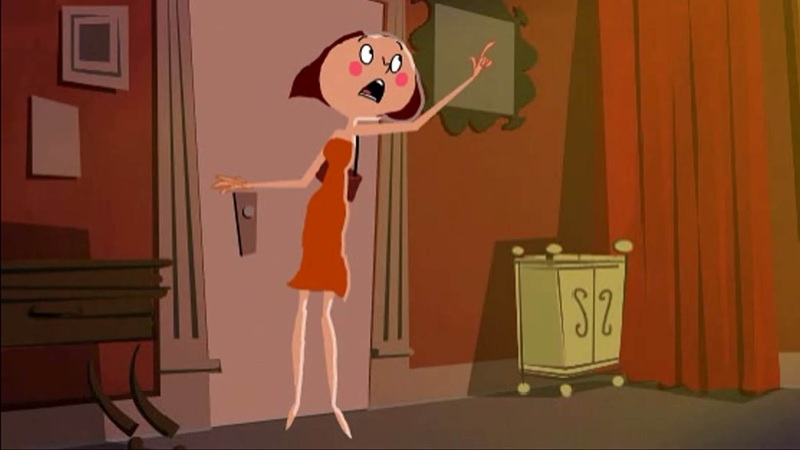 It presented the animators wearing a cape and deciding how it would react to the movements that the character would do. 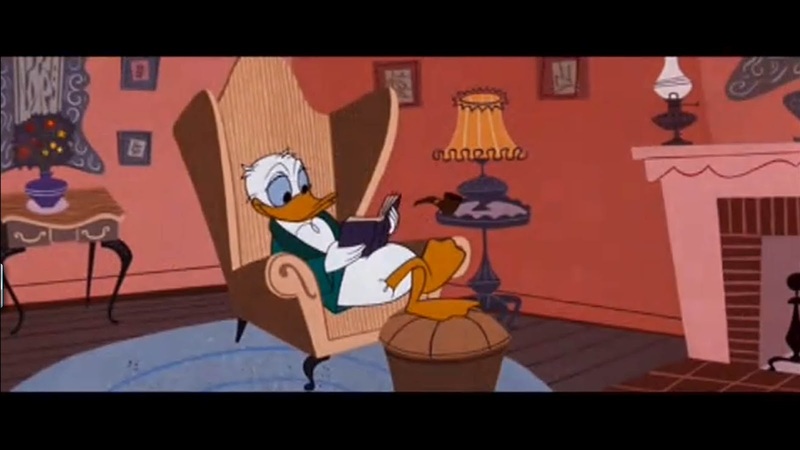 Since then, I started to, as many animators did once, pause the movies on VCR to understand how the movements work. 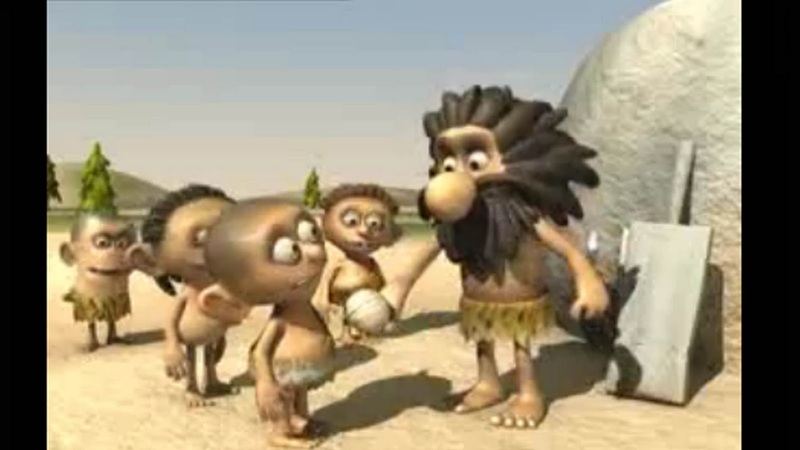 Once you knew you wanted to become an animator, how did you go about pursuing it as a career? drawing it on paper and then cutting the character out and layering it upon a background. I didn't know anyone who worked with animation, so I thought that the best way to make some contacts with those professionals in the area was to go to animation festivals. I remember that the first festival I went to, there was a room with workshops to the public.The people received some paper to draw, then their drawings were photographed and shown on a big screen. That was the chance to show my work. I took many sheets of paper not numbered. When it was on the screen I noticed that the people watching liked my work, but now, as I've been practicing a lot, I see that it was really bad. That was my first demoreel and with it I had the opportunity to start working in two feature films, one of them was Turma da Monica em uma Aventura no Tempo (monicas´s gang - an adventure in time). It was based on comic stories that are very popular here in Brazil. Well, what can I say? There are big talents here. Great animators like Rune Brandt Bennicke, Sandro Cleuzo, and others. The brazilian animation market has grown well since 2005, when I started as an animator. Since then, there were a bunch of new projects to the movies and for the tv, mostly developed in cutout using programs as toonboom or adobe flash. There are also a lot of professionals in this area that work with publicity or as freelancers. I know also some people who worked on projects like The Princess and the Frog and Open Season 3. Your entry becomes our first winning traditional animation produced in colour. Please talk a bit about the unique challenges that were entailed in your choice to use colour. I intended to use the character without an outline and had already decided which colors I would use. To the scenario, I wanted to create an atmosphere that could represent some romantic date, that wouldn't let clear if it was in a restaurant or in the character's home. I worked on the layout and finished painting it before I finished animating. When I put it together with the character, some parts as the hair and the arms were mixed with the background, so I had to change the colors of the hair and the dress and use the arms and hands with an outline. At first, I wanted to use the outline of nose and mouth in a color that was similar to the color of the skin, but then I chose to use black to give more contrast to the face. The style and designs of the background appear reminiscent to 101 Dalmatians. You have mentioned the film was not a direct influence, but you were referenced other Disney films. Please talk a bit about this influence. From which concept artists or illustrators do you find most inspiration? This work was inspired by the art of Shane Prigmore. I also like Ben Caldwell, Bruce Timm, Chris Sanders. Talk about your animation process for this piece. At first, I kept hearing the audio over and over, and, at the same time, I was making some thumbnails of my ideas. This moment, I think, is one of the most complicated, because I must choose a way to work and (stick with it). So I decided that I would do some girl trying to run away from a date. As it was a situation where I didn't have a briefing or a director to report to, I had all the liberty to do whatever I wanted. I already had on my mind some details of what i wanted to do. For an example, the character (bringing the hand) on her hair ,catching her purse, smiling shyly(embarrassed smile), looking down as she talked to her date, pushing the door with her hips (this last one, i didn't use). At the same time that I was thinking on the character design, I recorded myself on my webcam, to try to capture some details. I was acting when I thought make her touching the door and looking for the knob. I draw directly with tablet, on Flash 8. I started drawing the main poses, the breakdowns, defining moving holds and the arcs. Everything on sketch. I listened the audio and marked the accents. I drew in the hair and then I went to the head, body and arms. The last thing i did, was the lip sync. After I put the colors, I just deleted the outline. Tell us about your animation process for this piece. whatever i wanted. I already had on my mind some details of what i wanted to do. For an exemple, the character stroking her hair, catching her purse, smiling shy, looking down as she talked to her date, pushing the door with her hips (this last one, I didn't use). At the same time that I thought about the character's design,I recorded myself on my webcam to see if I could study the movements. I determined the accents of the audio and studied the hair. After that, I made the clean-up and the in-between, first the hair, then the body and finally the arms. The last thing I worked on was the lip sink. After I painted it, I deleted the outline. I believe the straight angles of the background play beautifully against the curves of the character. Please talk about this choice of style. It was a simple choice. I think it's very fun being able to play with the style and break a little the rules of the perspective. I really enjoyed your camera pan between frames 174-189, only noticing the 'cheat' as I frame by framed the animation. How did you come up with this concept? I was afraid I wouldn't be able to finish it all before I had to post the video, as it had happened before. So I thought that I could save some time making the girl out of the scene for a while. I've seen this kind of pan many times and I wanted it to look like the opening (the old one) of the Simpsons right after Magie is packaged and placed in Margie's shopping cart. I thought about using some blur effect, but I ended up distorting the scenario in some frames to look like the girl had traveled a certain distance. I believe the strength of the character performance shines throughout the animation. I love how distracted the female is to the person she is talking to. Talk a bit about how you approached her performance. I listened to the audio exhaustively, trying to imagine what the character was feeling in that situation. I concluded that she was embarrassed to tell the date she didn't want to stay there anymore, and then she embarrassed herself even more, trying to make excuses to leave. The last speech, when she was ready to open the door, I considered as those times when we say something stupid, and instead of remaining silent, we talk even more and we make the situation worse than ever. So I made some sketches, some thumbnails just that I would forget anything. Then I videotaped me acting and it was really useful to have the video as a reference to capture some details so I could enrich the scene. Through watching your 11SC entries, I have noticed your decision to animate both follow through and overlap in clothing and hair of your characters. Please talk a bit about your value of this principle. In the studio I work, we make cutout animation and each animator must finish 11 seconds daily, so we don't have much time to add some details that enrich the animation, as the follow through and overlap. The competition is a good opportunity for me to dedicate more to these principles. I admit that, sometimes, I even exaggerate a little bit. One of the challenging things about the audio was how to incorporate the sound of footsteps. Your interpretation superbly communicates her desperation to escape while remaining feminine. It is beautiful to watch. Talk a bit about how you approached this section in order to get the feel of weight, balance and the female's personailty to come together. I wanted that the scene were really funny at the time the girl runs to the door. Basically, I used as reference the way my little 2 years old daughter, runs, bouncing a little bit, looking like she is walking on hot sand or something like that. Of course, it was just my first idea. Added to this, I think it was the purse hanging on her arm, the way her hands were up, and the movements of her hair and the dress, helped me to make a scene that was at the same time, funny and feminine. In your eCritique, Victor Navone discusses the importance of playing with different beats and timing. Please discuss your thoughts on this. First of all, I would like to thank Victor Navone for his attention and time. I listens carefully to each thing he said and it all made so much sense to me. I always try to use all the principles at my shots, like squash and stretch, anticipation, staging, arcs, ... but only after I listened to the eCritique, that I realized that detail. I will surely start to pay more attention to this at my future works. Your February entry was tidied up post competition. Do you intend to return to this piece and apply any changes? Yes, sure! As soon as possible. And I intend to apply all the observations on the eCritique into my future work. Is there anything you'd like to add about your thought-process or experience in February's competition? To be able to participate of 11 Seconds for me, it's always a learning experience. It made me really motivated that my work is seen by professionals from all over the world. It's been 2 years since my first entry. In each competition I had participated, I always tried to apply all the principles I learned on the last one. I will keep trying to improve myself each day. I would like to thank all the comments, to the 11second club team, and to all my friends that have always have supported me and, specially to Victor Navone, for his time and great criticism. In this video I talk about Timing and Spacing. I know that this is a little out of the ordinary for me. I have avoided trying to do basic principles based videos up until now but I figured it was worth it just to clear up the confusion that a lot of people seem to have about the topic. I know I talk about spacing a lot in this video but I really beleive it is one of the most powerful tools an animator has to work with. As far as getting better at spacing it is a matter of practice and looking at professional work to get a feeling for what your work should look like. If you guys have any questions feel free to leave a comment and ask. Second Justin Petrick treated us to a very nice Superhero animation. great work, and thank you to you all! MC 31: Eeek! A Monster! This time round, I think it would be cool to step back from full body action and take a stab at the face again. Thanks to this thread and especially Kyle's post I got the idea to give you a setting and you animate the character reacting to it according to it's personality. So, to start with something rather simple, have your character being faced with a hideous monster. But there are multitudes of ways you could animate this encounter. This Animation doesn't have to be that long, I'd keep it at 75 frames for now, so make sure all your poses are clearly readable and instantly understandable. You don't need to have the monster visible either, rather concentrate on showing your character's emotions. Here's a link to how to use the dropbox, please try and keep the videos below 10 MB, and if any more questions arise, Steve did a nice FAQ here. Recently posted on Spungella, is a wonderful talk by Dr. Stuart Sumida and Simon Otto on how they tackled the challenge of flight in Dreamwork's How to Train Your Dragon. Click the image to check it out! I also wish to accompany this post by a tutorial from Cathy Feraday Miller, on animating four-legged beasts together with a second tutorial by Dr. Sumida on animal locomotion. My thanks to Chocobilly and d-Anim for pointing these out on the forums. Although there are many traditional principles of animation, that is one fundamental rule. Animation is HARD! In order to chase a great career, there will be obstacles to face. Some good, others bad. 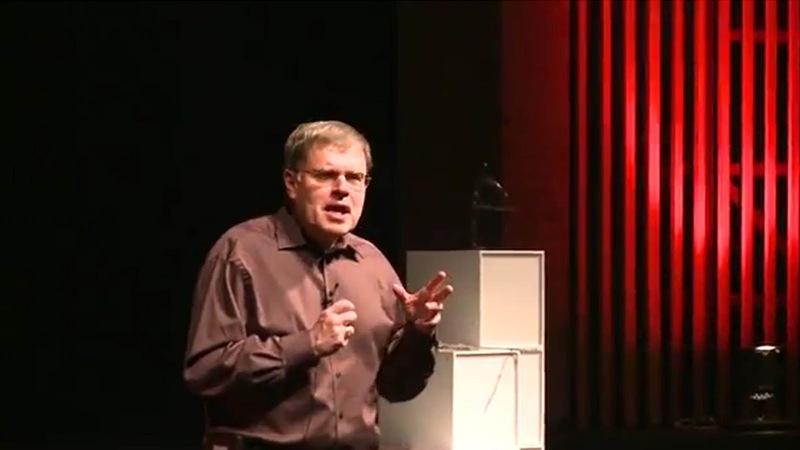 I hope this talk from Larry Smith will help. Please click the pic to watch. Secondly, I wish to highlight a post by Andreas Deja. I am in much love of his beautifully illustrated blog, but I found his comments upon Milt Kahl work on Prince Phillip particularly inspiring. Hopefully, it will help you through the projects you find least favourable. Recently the animation community caught site of the trailer of India's new feature film, Arjun. It tells the story of India's greatest warrior. We would like to wish it every good fortune, with many hope its success will pave the way to finance future feature releases for the country. In celebration of its release, we hope to publish an interview with another of India's leading animation companies Vaibhav studios. I had the privilege to chat with its founder, Vaibhav Kumaresh. The studio's work is as vast as it is colourful, injecting the beauty of story into each of their projects. Please have a browse. Growing up in India, what were the influences that got you interested in animation? My father was in the India army. He would get posted from one place to the other quite frequently. As a result I grew up all over the country. I guess that was the start point for developing a rich cultural, audio visual vocabulary. 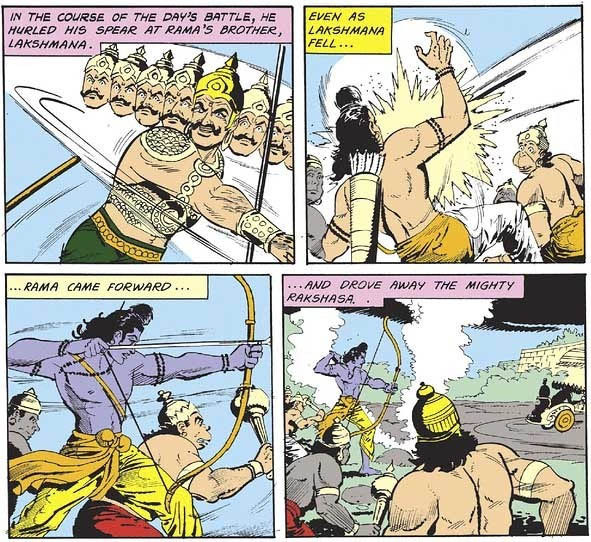 My parents introduced me to Amar Chitra Katha comics (one of the most popular amd successful Indian comic) at an early age and I was simply addicted to it. That was my introduction to Indian mythology, folk tales and most important: story telling. My school encouraged a lot of extra curricular activities like music, drama, dance, fine arts and sports and I enjoyed participating in all of them. I always loved to draw. I told my stories through my drawings. After my schooling I knew I wanted to do something where I could use both drawing as well as storytelling. During my graduation in Fine Arts, I got to know that the National institute of Design in Ahmedabad offered a course in animation. That sounded intriguing. A visit to the institute and it was clear to me that animation was my next step. Behind every great animator is his family. Is art something that is shared through your household? No. My father was an army officer and an excellent sportsman. My mother was a maths and science teacher!! She was also a beautiful singer! I am glad that I inherited a bit of all these qualities. ‘Art’ I guess would be my introduction to our family!! Having said that I received tremendous support and encouragement from my parents and sister when I decided to pursue fine arts and animation. My wife has now joined the gang! So yes I owe it all to my family. Please talk a bit about forming Vaibhav Studios. It was an overnight decision (and one of our happiest) to start on our own. I quit my job to work on a short animated children’s film. I had no clue what I was going to do after that. However the response from my old clients was so strong and encouraging that we decided to build our own studio and work culture. My wife Suranjana and I set up Vaibhav Studios in 2003. A variety of exciting and challenging work came our way. We learnt a lot in a very short span and soon grew into a small little team. As head of Vaibhav studios, please share some thoughts on keeping an open mind to team contributions while also having to make the final decisions. As an artist the greatest pleasure is to work with other inspiring artists and collectively discover and create exciting work. As a filmmaker I have a certain style/ flavour of working. Over a period of time, that flavour tends to get a bit monotonous. Therefore working with different artists with different flavours is the best way to constantly refresh yourself. When directing a film, our team mates play the audience. I like to share every stage of work with everyone and seek their instant reactions. It allows me to see my work from different perspectives. Finally I work on the critical feedback that I agree with and ignore the ones I don’t. What values do you look for when recruiting a new animator? They should be madly and sincerely in love with what they want to do. And yes they should also be good at what they want to do! These two are the basic values on which we associate ourselves with new members. Beyond that we give them time to show their true colours and revisit employment terms accordingly. 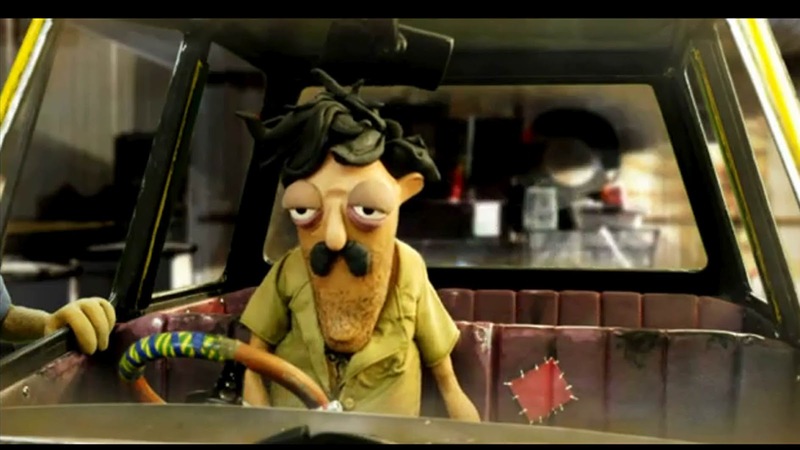 Vaibhav Studios has a wide portfolio of work in 2d, 3d and stop motion. What factors help determine which medium a project is made in? In most cases we can see the film and its medium in our heads when we work out/ read the script. At times budgets and timelines also affect the medium of animation. The 11 Second Club celebrates diversity in creative talent. However, many animators have trouble in building a reel that reflects their individual voice. This can sometimes be seen on a larger scale. With studios attempting to replicate the financial success of the larger studios, their own identity can be forgotten. Please share some thoughts on this. When you truy love something it finds its own unique way of expression. There is extreme clarity and very little doubt. It’s the same with your work. When you love your work, your way of perception and expression is bound to show through. It is this very quality that sets every individual artist or studio apart. Therefore its very important to discover and nurture what you love doing the way you love doing it. Some of the best studios in the world manage to retain this flavour in their work: be it Pixar, Studio Ghibli or Aardman. Our studio is currently too small to replicate the financial success of a big studio. Hence I may not be experienced enough to answer this too well. I really like how character and story are at the core of your commercial work for Vodafone, Neo Sports and Sagar Cement, as well as others. Please talk a bit about this. We all know that story is king. And in most stories it’s the characters that take the plot forward by drawing the audiences into their own world. I like observing people a lot. Maybe its got something to do with the population of our country or something in my head!! I see a variety of ‘characters’ all around me everyday!! Many a times stories are born out of it. When introduced to Horn Ok Please, I quickly commented on the great use of composition. This can be said of other projects you have worked upon. Please share some advice with the community about composing camera shots. Characters and situations invariably hog the limelight for conveying the story. However the camera is a silent but highly effective tool. What you ‘show’ and how you show it largely contributes to the flavour of your story/ action. Just like every shot must have a purpose in the ‘telling’ of a story, the composition of the shot and the staging of actions is equally vital. Talk about your importance of preparation and research for each new project. So far we have mainly worked on very short films: ads, promos etc. I must confess that I do very little or no research on these projects!! At the most we have done treatment tests on projects where we werent very clear. Other than that what I try to do is soak in the story. I play it again and again in my head and try to simplify and strengthen the flow as best as I can. In India, you are best known for creating Simpu singh Sodhi. For those unfamiliar with the character, please introduce him to our community. 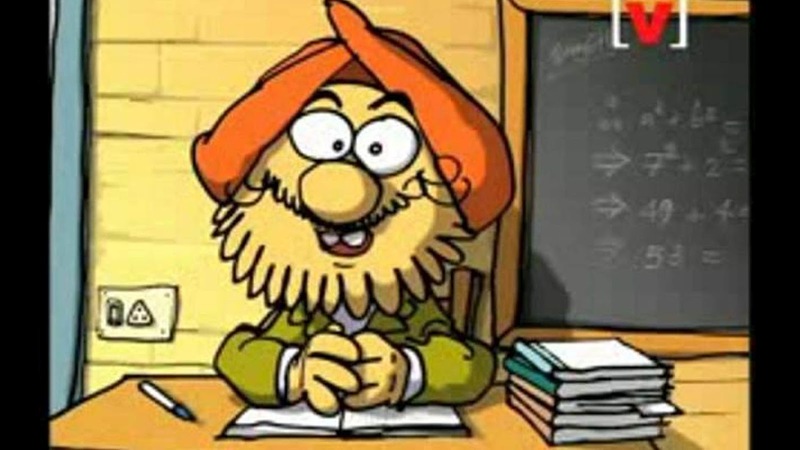 Simpoo the angry, animated maths teacher has been one of the most successful brand ambassadors of Channel [V], (a youth music channel on Indian tv) since 1999. The character has successfully promoted the channel and its various shows through the many films he has featured in. Today he along with his prankster students remains one of the most favourite animated Indian characters on Indian television. 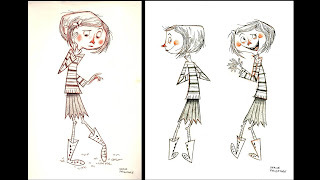 A common style can be seen throughout your 2d portfolio. Are there any artists that have inspired this design? I am sure there are many artists whose work has sub consciously influenced me. 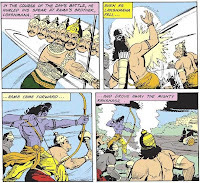 I have thoroughly enjoyed the works of Sergio Aragones & Dean Martin (MAD comics), Ram Waeerkar (Amar Chitra Katha), Paul Dreissen(Animation film maker), Lat (Malaysian cartoonist/ illustrator), and RK Laxman (Indian cartoonist) to name a few. What do you find most challenging to animate? During animation, I feel choosing the right acting choices that strengthen the story telling is most challenging. We invariably get carried away in trying to showcase great locomotion or drawing skills. In the process we sometimes dilute the ‘story’ in the scene. Every artist faces a mental/creative block at times. How do you overcome it? Animation film making has many departments. When I get stuck in one, I jump to the other. Many a time that helps. For example if I get stuck while writing a script/ story, I try and doodle the character designs or locations or any other aspect that I am a bit more clear about. Invariably one department gives me clues to the other. However if that doesn’t work, then you have got to face the block!! I always take refuge in the story and let it guide me in every department. The 11 Second Club has an ambitious community, with its main competition appealing to variety of skill levels. 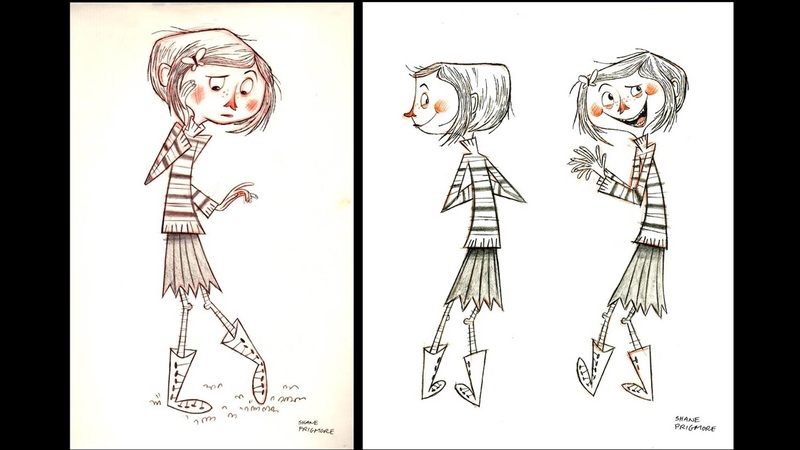 When I first entered the competition, I skipped the basics and leapt into the deep end of producing character animation. I finished close to last place. What advice would you give to animators who share similar stories. Its indeed very important to polish ones skills but if the basics are not in place, however hard you polish the shine will never come. Observe and sketch from life. Develop YOUR way of seeing, observing and expressing. As animators, as performers our goal is to captivate and make an impression on our audience and it’s the story in the performance that allows us to do that. If your performance strengthens or refreshes your story, that’s the way to go! Lastly, I hope to leave you all with the promo vid for Vaibhav Studios new production Return of the Jungle. Thank you Vaibhav for your time and I hope you community members have enjoyed! To follow the latest work from the studio, please check out their Vaibhav Studios facebook page.